“If I get a choice, I’d like the lightsaber right through the neck. No warning, nice and quick. If I get a veto, ejection into space. 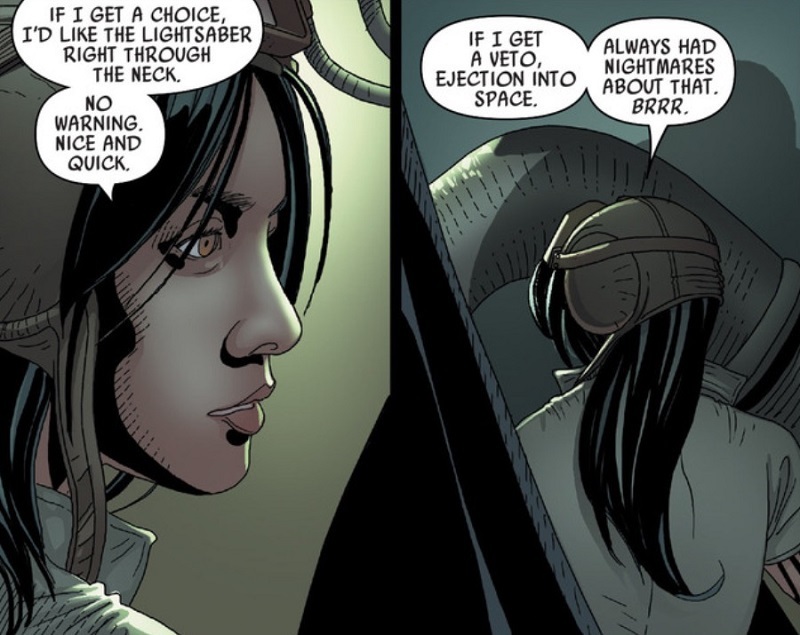 Always had nightmares about that.” – Dr. Aphra, Darth Vader, no. 4. 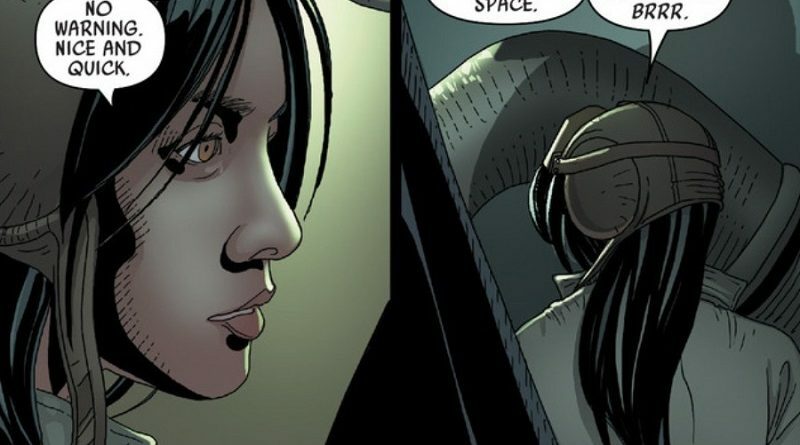 Dr. Chelli Aphra realized quite quickly that one does not serve a Sith Lord in secret and expect to survive the experience. 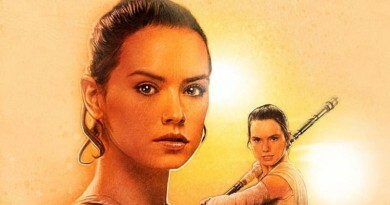 Shortly after visiting the ruined planet of Geonosis to procure a droid fighting force for her new boss, the rogue archaeologist brought up the subject of her inevitable death twice, emphasizing, “When you need to do it, do it. And lightsaber, please.” Darth Vader said and did nothing in response, until the final installment of the twenty-five run series. 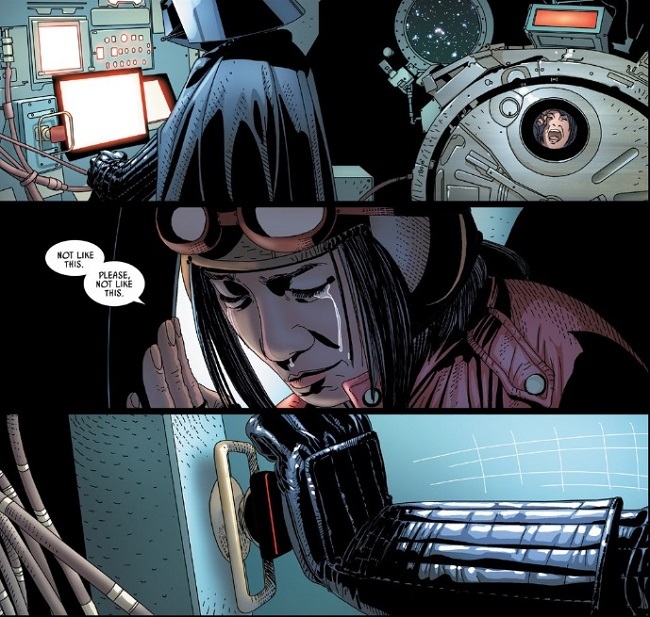 When it became apparent that Dr. Aphra’s usefulness to him had come to an end, Vader chose a specific method to dispatch her – he ejected her into space. It was an undeniably cruel choice. It was also a striking example of how cruelty has become a part of not just Darth Vader’s modus operandi, but a representation of his villainy as a Sith. 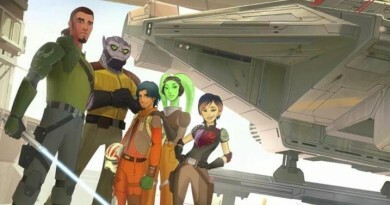 This association of the Sith and suffering did not have a major place in the original trilogy, but came into its own with the prequel trilogy (along with the term, you know, Sith). Yoda, himself, recited a warning to a future padawan, Anakin Skywalker, in The Phantom Menace, “Fear is the path to the Dark Side. Fear leads to anger. Anger leads to hate. Hate leads to suffering.” For one of the great Jedi Masters of the franchise, suffering was the end result of falling to the Dark Side. In this sense, Darth Vader was always doomed to make others suffer (and conversely, suffer himself), but it began gradually in the original trilogy. In A New Hope, suffering came with a purpose for the Sith Lord. The first instance came at a conference room table, when Vader chokes Admiral Motti to remind the dismissive Imperial about the power of the Force. Next, the torture of his daughter, Princess Leia, which granted, neither party in the experience knew of the familial connection (or George Lucas for the matter). 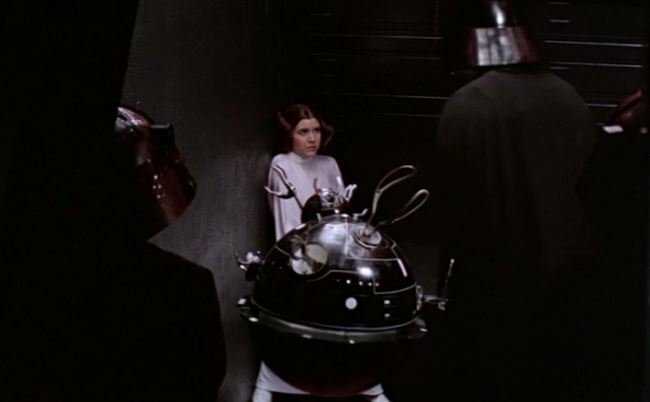 Nonetheless, the use of the interrogation droid on Leia was explicitly for the purpose of uncovering the location of the stolen Death Star plans. If the franchise had ended with the rebel medal ceremony, Vader would not be remembered as a cruel character, so much as a villain who knew when and how to apply pain for gain. Then the Empire struck back. The Empire Strikes Back introduced the villainous character with little patience for the screw ups and failures of his Imperial officers and the first true hint that Vader made others suffer simply for the sake of suffering. More so, Empire defined Darth Vader. It created the template from which future writers relied upon. 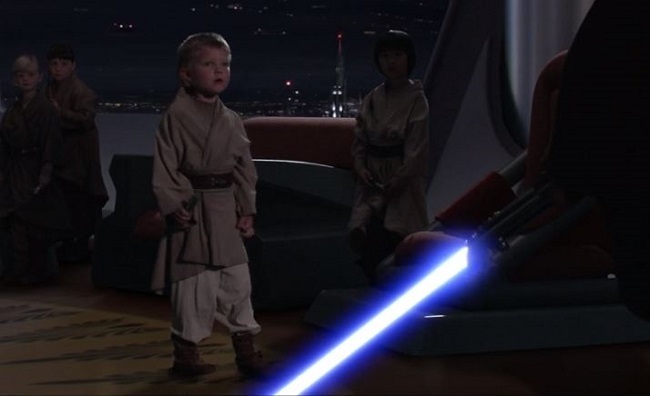 One might try and dismiss the Imperial body count as a twisted motivational exercise to inspire better results, but this method of encouragement falls to pieces because Vader inconsistently applied when he allowed Admiral Piet to live after the Millennium Falcon lept to hyperspace at the end. Mr. I-will-take-full-responsibility-Captain Needa was killed for the exact same thing earlier in the film (true, he was distracted by his heart to heart with Luke). 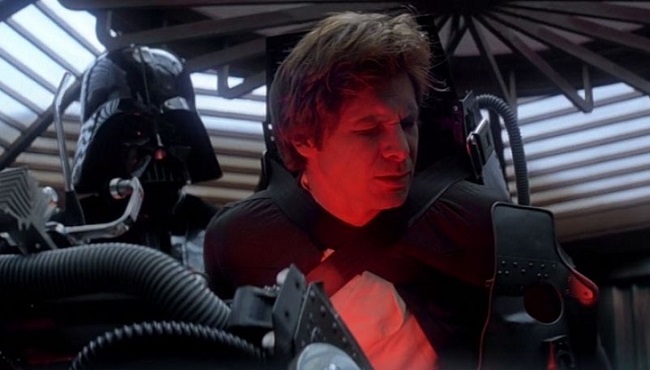 One need only to look to Han, though, to see a Vader engrossed with suffering. The darkness of The Empire Strikes Back bled through a single line painfully uttered by Han after Vader condemned him to a session in an Imperial torture device, “They never even asked me any questions.” No explanation is given for Vader’s decision to torture Han outside of the specter that the man in the black helmet somehow knew that Luke would pick up on his friends’ suffering via the Force, and this is only conjecture. By the bittersweet ending of the film, cruelty has been firmly established as a trademark of Darth Vader’s persona. Youngling after youngling later, Darth Vader and cruelty were firmly entwined, along with the latter’s connection to the Sith and the Dark Side. By virtue of his allegiance to the Dark Side, it’s hard to argue that Vader would never exhibit anything but cruelty in the end, and ironically, this assignment to his persona came about entirely because Darth Vader established the very character template from the beginning. A nascent idea planted in the fertile soil of Empire, given form in the prequel trilogy, and most recently exhibited by a rogue archaeologist and an airlock, Vader’s cruelty has become as much as his character as his mask and armor.